The social relationship that develops between the tattooist and his or her client is of primary importance. If the novice tattooist is to be moderately successful as a service deliverer anclbr a commercial artist. it is necessary to gain skill in defining client needs and devising tactics by which those needs can be both shaped and met. The street tattooist's basic goal in this regard is maximizing financial rewards while maintaining interactional control during the tattoo process. Learning to tattoo. therefore. involves learning how to structure the ritual performance that is central to building client trust. Fostering client trust is of particular importance in tattooing. Customers typically feel some degree of anxiety when entering the tattoo studio. The major source of this apprehension is the anticipation of pain. Unfam1l1arity with those commercial settings in which tattoos are applied is another source of anxiety since most tattoo customers have never been in a tattoo studio prior to entering one to be tattooed for the first time. 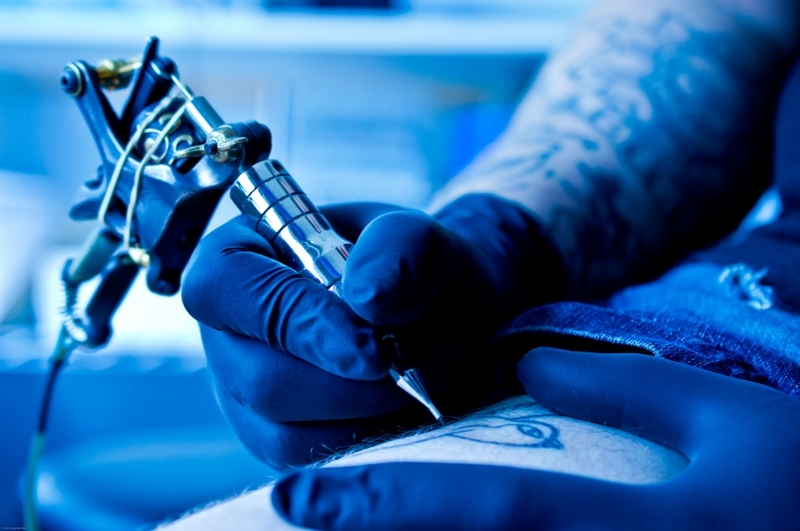 Through contact with customers the tattooist learns how to handle recurrent interactional situations and to control the definition of the tattoo situation held by clients-an issue that will be discussed in some detail in the following chapter. Personal styles of dealing with clients vary considerably, but all tattooists, of necessity, devise ways of easing interaction with and controlling their customers. Potential tattooees tend to ask fairly standard questions-by far the most common being, «does it hurt?»-and tattooists develop standard responses to these questions. Sometimes the responses are humorous and designed to break the tension («Did you ever beat off with a handful of barbed wire?»). More commonly, tattooists attempt to project a serious and helpful demeanor and answer standard questions simply and directly. Tattooists, who see themselves as being motivated by more than commercial interest and feel some responsibility to both tattooing and the client. maintain that education is a central facet of their interaction with the customer. They reflect what Griff (1970: 156) describes as the «compromise role» in his discussion of commercial artists. A tattooist who predominantly did custom work stressed the importance of this educational, status-enhancing, client-oriented approach to in-shop interaction. While presentations such as this are indeed noble. the social skills developed by the tattooist have. for the most part, an eminently practical function. As emphasized in the following chapter, the tattooist's major goal is to control the interaction within the shop in order to ease his or her worklife and increase the profitability of the commercial operation. Studies of other types of service interactions clearly indicate that client satisfaction is based primarily on the experienced quality of the relationship with the service deliverer. Since the vast majority of tattoo customers are drawn by word-of-mouth recommendations from personal associates the satisfied client is the source of new business as well as a potential returnee should he or she desire additional work.